This Saturday is the third annual Titan Comics Doctor Who Day and it promises to be bigger and better than before. 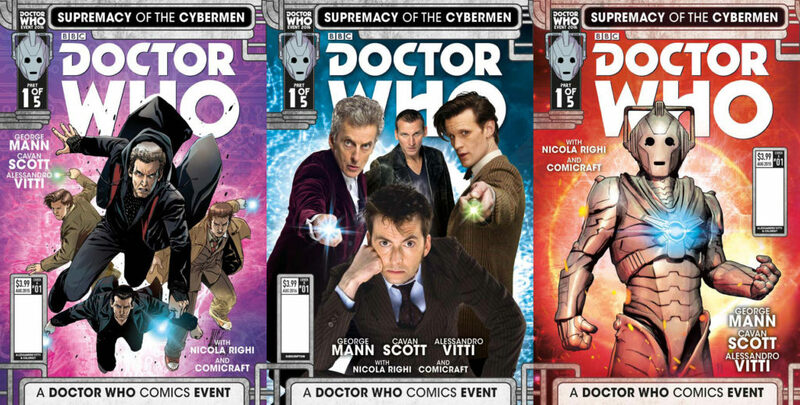 The event sees the launch of the new crossover event comic – Doctor Who: Supremacy of the Cybermen where eager fans will be able to pick up special variant covers. Supremacy of the Cybermen is a five-part bi-weekly adventure featuring the Ninth, Tenth, Eleventh and Twelfth Doctors, and is penned by best-selling comic authors George Mann (Doctor Who – Eighth Doctor) and Cavan Scott (Doctor Who – Ninth Doctor), with art by Alessandro Vitti (Secret Warriors) Ivan Rodriguez (The Spider) and Nicola Righi (Doctor Who – Eleventh Doctor). 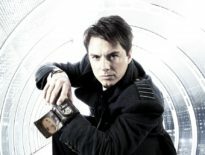 Celebrating the 50th anniversary of the Cybermen, the event also features beloved companions including Rose (Billie Piper) and Captain Jack (John Barrowman). Leading up to the release of Supremacy of the Cybermen, Titan will be releasing nine exclusive one-page teasers – featuring Doctors from up and down the timeline – in each of Titan’s four ongoing Doctor Who stories. Rob Williams at Forbidden Planet Bristol (UK) – UPDATE: This signing has sadly been cancelled. 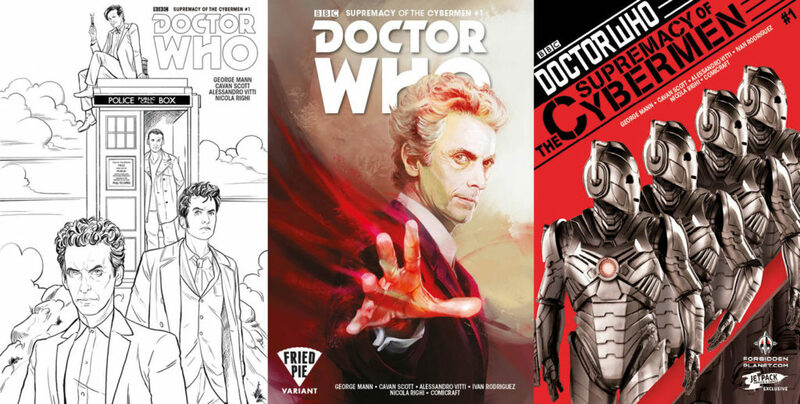 There are also a selection of variant covers including Supremacy of the Cybermen variants by Alessandro Vitti, photo variant by Will Brooks, a cool Cyberman cover by Fabio Listrani, a blank sketch variant, a fun colouring variant, and exclusive retailer variants at Forbidden Planet and Books-A-Million. 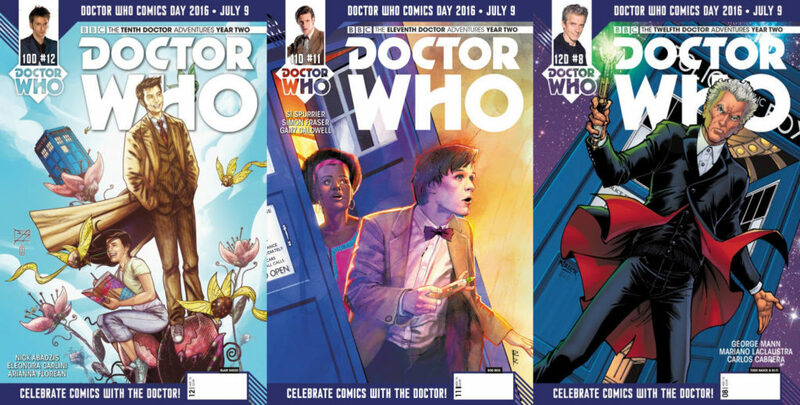 Titan will also be sharing special variant covers across there various Doctor Who comics line throughout July, including Fourth Doctor #4 variant by Andrew Pepoy and Jason Millet, Ninth Doctor #3 variant by Dan Boultwood, Tenth Doctor Year Two #12 variant by Blair Shedd, Eleventh Doctor Year Two #11 variant by Rod Reis, and Twelfth Doctor Year Two #7 variant by Todd Nauck & Hi-Fi. Titan’s Doctor Who story from this year’s Free Comic Book Day event will be available for FREE on digital devices. 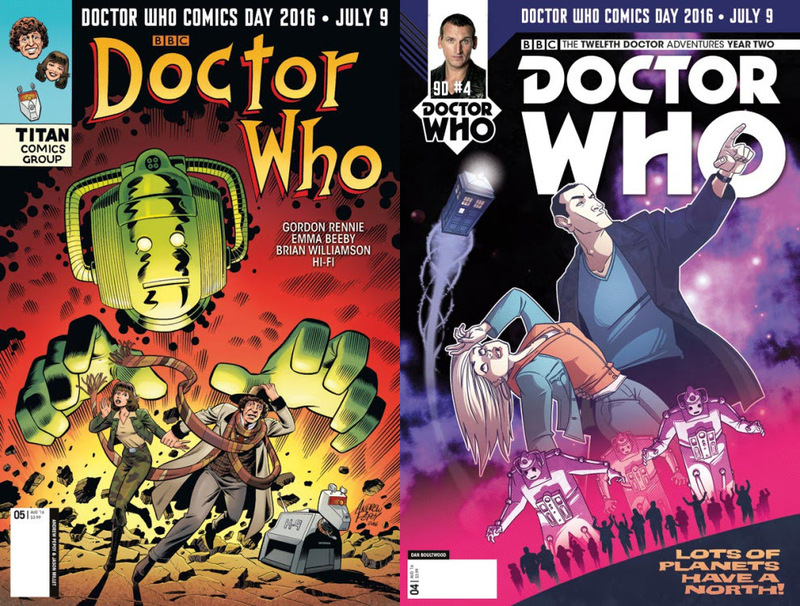 This Free Comic Book Day edition features four all-new short tales of the Ninth, Tenth, Eleventh, and Twelfth Doctors written and drawn by the creative teams from Titan’s four ongoing Doctor Who titles. 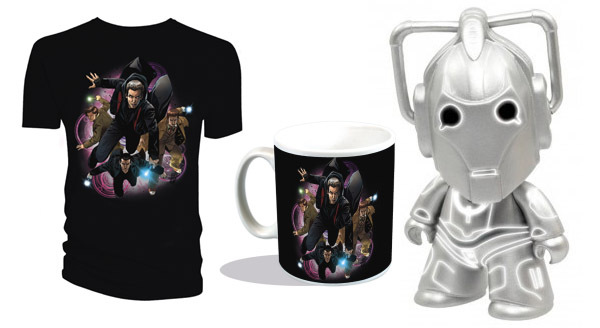 There’s also a selection of Doctor Who Comics Day merchandise too; featuring t-shirts and mugs featuring art by Supremacy of the Cybermen artist Alessandro Vitti, and a limited edition Doctor Who Titans: Army Of Ghosts Cyberman 3-inch vinyl figure – only available at comic book stores nationwide. What’s more, for the first time this year Titan is supplying Doctor Who fans with kits to host their own reading group events on the same day. Over 300 parties are planned across the globe to read and celebrate Doctor Who comics and you can register your own party by click here. If you can’t make to one of the participating stores, don’t despair! 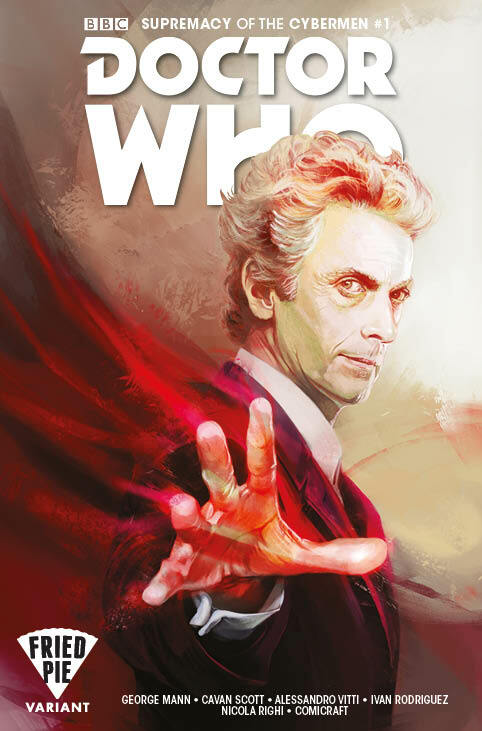 You can take part in a Doctor Who Twitter marathon contest planned for the day via Titan Comics’ Twitter page @ComicsTitan. Doctor Who comic creators Cavan Scott and George Mann will be answering fan questions at 11:00am (EST) that day via Titan Comics’ Twitter page. Fans can ask question using the hashtag #DWCD. 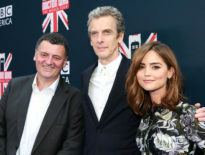 News	Steven Moffat IS The Doctor!